With digital technology rapidly developing, businesses must also change and evolve. Many companies across the globe are growing at incredible rates, while others are evolving to adapt to the changing needs and wants of consumers. Within a short time frame, small businesses are turning into global enterprises, which most certainly come with a host of complexities that must be contended with. With such fast transformations, businesses need to adopt systems that allow for enhanced performance and maintained profit levels. Companies simply cannot deal with all the issues that typically come with drastic change. Instead, they still need to be able to deal with changes and opportunities quickly without having to put up with cumbersome IT systems. And all companies that aspire to reach international levels will eventually require fully-integrated global ERP software to provide them with the right language, taxations and currency rules that are pertinent to the nations they are operating in. These systems must ideally be built around one data model that will permit all staff, vendors and partners across the globe to continue to conduct business in a streamlined fashion. 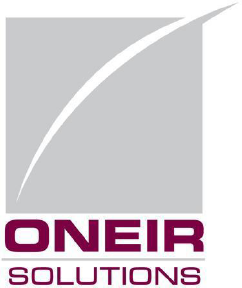 Rather than relying on outdated systems that take up way too much time and require too much manual work, a more cutting-edge ERP system from Oneir Solutions can slash administrative costs and time through their innovative processes. You’ll be able to gain instant access into the visibility of your business’s activities, products, and customer activity. In order to keep up with your business’s changes, evolution, and growth, it needs a state-of-the-art ERP software that can sustain such changes. From initial implementation to the power of solution, ERP software from Oneir Solutions can provide precisely what a thriving, growing and changing business like yours needs today. To take your business to the next level, you need a cutting-edge ERP software from Oneir Solutions Inc. To find out more about ERP software from Oneir Solutions, email [email protected], or call 877-322-3580 Ext. 1.